Mediatek has gotten used to releasing many different processors, often with one slight differences such as support for different screen resolutions, but the company’s latest Helio P20 octa-core Cortex-A53 processor, despite looking pretty similar to Helio P10 (MT6755) and X10 (MT6795), does confirm lower process nodes are now available in entry-level to mid range parts since it’s manufactured using a 16nm process, and the application processor also supports up to 6GB LPDDR4X memory which drops the voltage from 1.1V to 0.6V for even lower power consumption. LPDDR4X is said to provide 70% more bandwidth and 50% lower power consumption compared to LPDDR3. Connectivity – WiFi 802.11 ac/a/b/g/n (with MT6630), and GPS/Glonass/Beidou +Bluetooth + FM radio. Smartphones powered by Helio P20 are expected in H2 2016. A few more details may be available on Helio P20 product page. It would be cool, but I don;t think I’ve never seen a development board with Mediatek mobile SoCs. 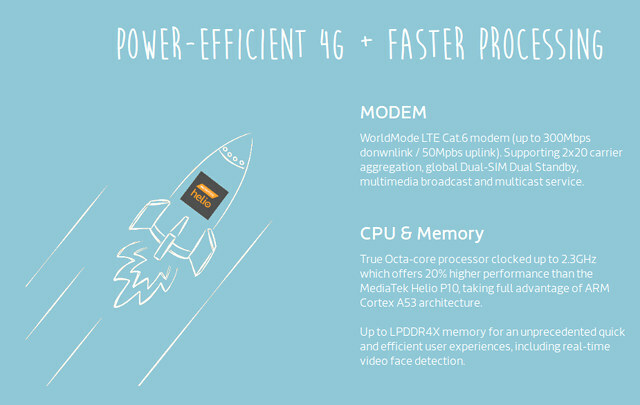 MediaTek Labs seems to only focus on IoT boards for now.